For such an iconic route we needed an iconic train, and we think the Class 37/4 Locomotive was the ultimate traction in the West Highlands. During 1985 and 1986 a Class 37 refurbishment programme was underway in Crewe Works. Standard refurbishment work included receiving re-geared CP7 bogies and the English Electric generators were replaced with alternators. Thirty one of the re-built locomotives were also fitted with ETH (Electric Train Heating) supply. Twenty five of these re-classified 37/4 locomotives were allocated to Scottish depots Eastfield (ED) and Inverness (IS), the remaining six were allocated to Wales. The large logo BR Blue livery was applied to the whole 37/4 fleet with most of the Scottish examples receiving nameplates. hotplate for warming you lentil soup! 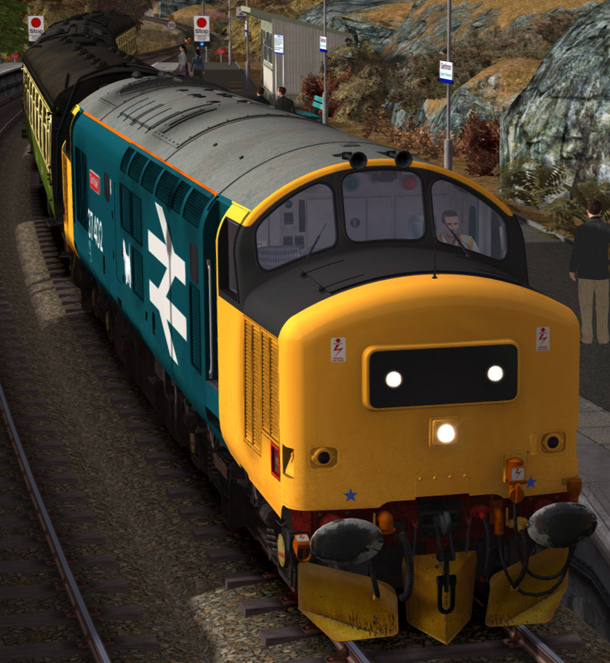 The West Highland Line Extension route and the included Class 37 Locomotive feature a version of the RETB system. This system of radio signalling was introduced in the mid-1980s to replace the 'Single Line Key Token' system, where possession of the only Token for a section of track enabled the holder sole access to that track section. This older system required 'token instruments' at each end of the section and links between them in order to form an 'interlock' that prevents false issuing of tokens. The Radio Electronic Token Block scheme has a Solid State Interlocking (SSI), which is computer based, centrally located in Banavie Control Centre. This controls the issue of tokens, in the form of secure data telegrams, to trains via a chain of fixed radio stations. The system carries not only RETB data but also speech between all users of the system. 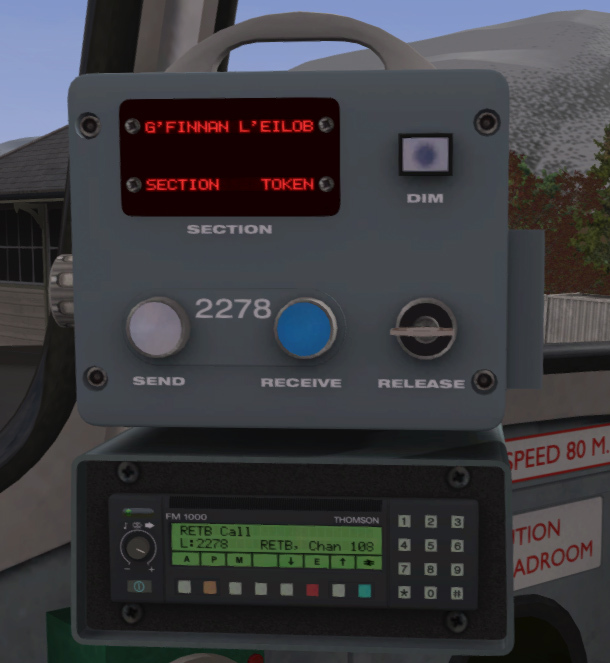 An RETB Token CDU (Cab Display Unit) is required in the cabin of each locomotive, multiple unit and engineers' vehicle that will operate on the line. This is used in conjunction with the cabin radio system. Making a "Cleared Station Limits Radio Call"